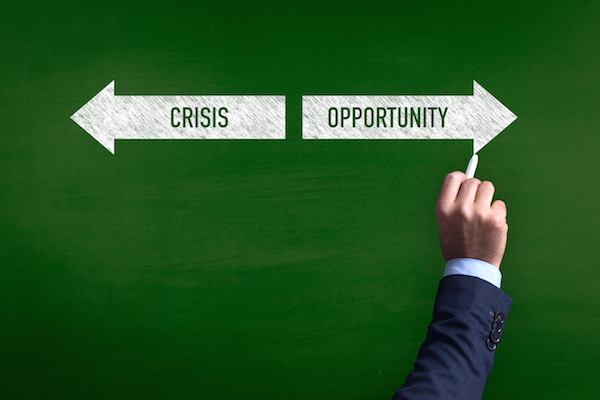 Blue Sky Financial Planning / Blue Sky Blogs / Don’t wait for a crisis. Risk runs through the heart of everything we do when investing money. The level of risk has to be understood on a number of levels and as professional advisers, it is down to us at Blue Sky to invest, using our expertise. Sounds obvious. Much of our focus at Blue Sky however, is on a different and less obvious level of risk. One of our mantras is “enjoy your money whilst you have good health”. Many of our clients and readers will know the importance of this sentiment all too well as often it takes a crisis to kick start us into action. I spoke to someone the other day who has had a cancer scare, which unfortunately resulted in surgery. She has commuted from Bournemouth to London, for work, nearly every day for the past 6 years. She has resented the journey throughout most of this time. During her convalescence, she began to see her life with a clarity that had previously escaped her. Why should she be a slave to this life, she thought. She worked out that over the past 6 years she had spent 39 days of her life travelling on a train. Actually, with delays and cancellations she joked it was probably more like 60 days! We began modelling various scenarios for her and she was astounded to discover that although she earned a good salary, after all the deductions for tax, national insurance, pension contributions and other benefits, she actually received in her pocket only about 40% of her gross pay. The way she began to look at it was that 60% of her money was disappearing, she was paying thousands for a rail season ticket and had the dubious honour of sitting on a train for a minimum of 4 hours a day! What was it all about? She had been on a treadmill and couldn’t afford to get off, or so she thought. She never really had time to stop and think about the alternative but on the odd occasion when she did, the alternative never seemed very appealing. Having had the cancer scare she was forced into a period of reflection. She didn’t want to do this anymore, but what choice was there? This is when existing clients of ours pointed her in our direction. We modelled various scenarios and explored the possibilities. What if she got a job locally? Could she move into a different type of role? Could she afford to go part-time? Change is possible for all of us. We shouldn’t fear it. We should embrace it. Please do me a favour though: DON’T WAIT FOR A CRISIS before you take control of your life. Many of you reading this blog are valued clients who have undergone financial planning yourselves. Pass this blog on to a friend or family member if you believe they would benefit from a different perspective. Encourage them to explore the possibilities now. Click any of the categories below to tailor content to your specific interests. Please note that calls to Blue Sky Financial Planning may be recorded for training, monitoring and compliance purposes.